The aXs2 (available from early 2018) is a low profile pool lift that is an ideal access solution for residential, community or hospitality swimming pools. 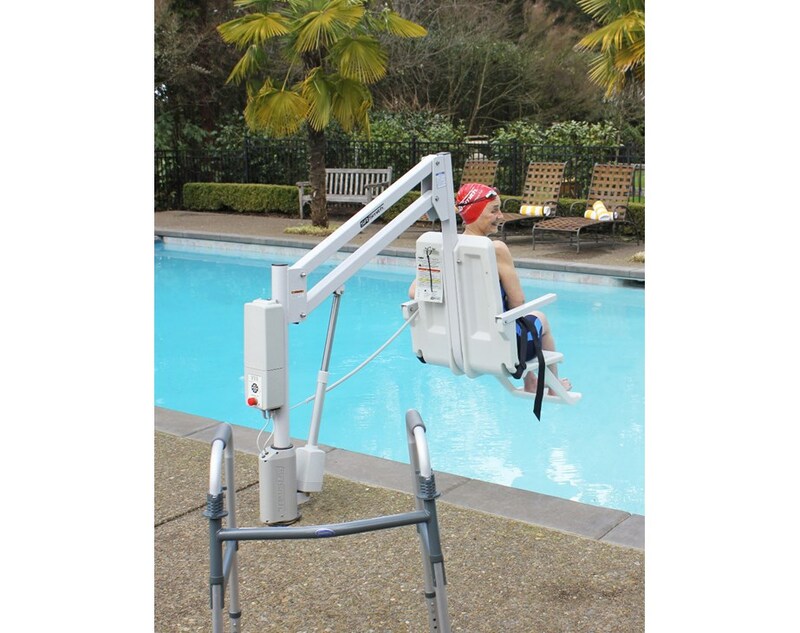 The aXs Aquatic Lift is a semi-portable lift system designed so that individuals with disabilities and mobility impairments can have universal access to residential, hospitality and multiunit facility swimming pools or spas. The aXs is powered by a rechargeable 24 volt battery. The lifting motion is provided by a screw driven electronic actuator and an electronic gear motor provides the turning motion. Specifications: 136 kg (300 pound) lifting capacity. Powered by a 24-volt rechargeable battery. Powder coated stainless steel and aluminum. All of S.R. 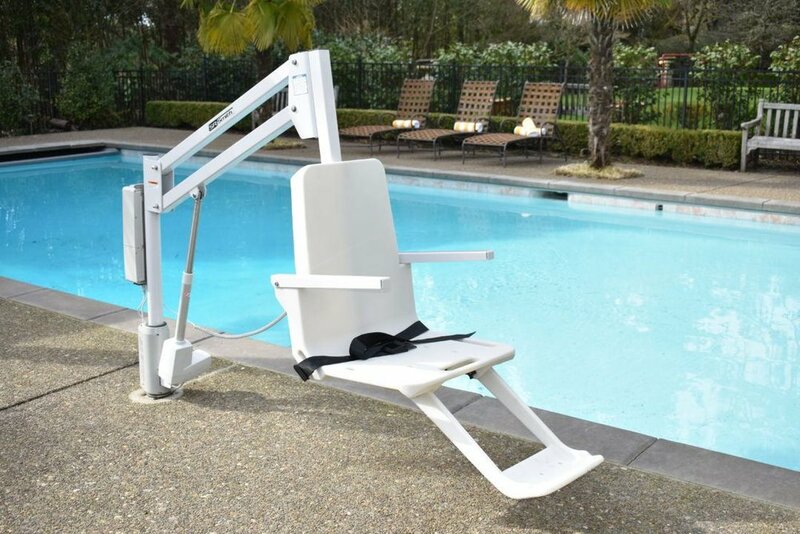 Smith’s lifts have been designed to assist anyone who has problems entering or exiting a swimming pool or spa - the only restriction is that the User does not exceed the weight limit of the product, 136 kg in the case of the aXs 2. The aXs can be operated independently by the user or by a lifeguard or attendant using the supplied 4 button hand control. The aXs has a mast height of 36”/92 cm above the deck, provides 360º rotation and is intended to be used with simple pool gutter configurations having a deck to water distance of no more than six inches. Although the aXs must be operated from a stationary deck anchor it can be transported using the aXs Caddy. The Caddy is designed to facilitate lifting the aXs out of the deck anchor and also serves as a storage rack when the lift is not in use. The Caddy is quite an expensive option and to use it you must specify this as a requirement prior to placing an order. This is because there are two different models of the aXs 2 and only one of them can be used with the Caddy.